Some Black Friday 2018 suggestions. 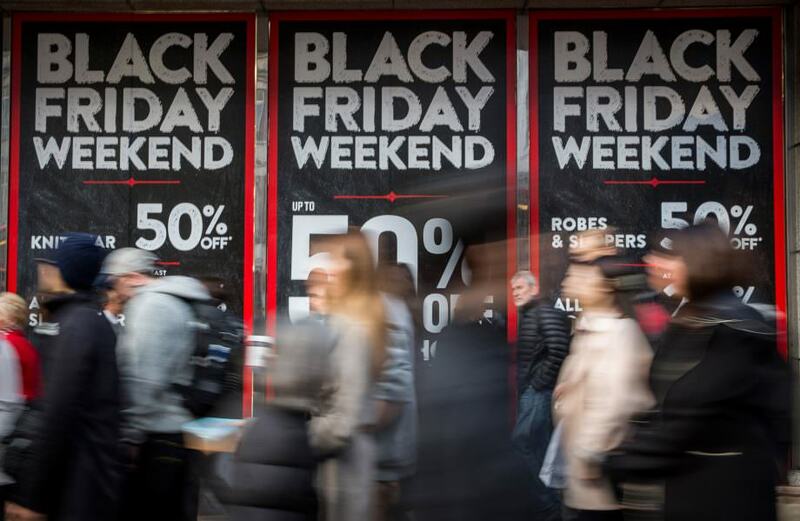 Black Friday is just around the corner, which means that a lot of crazy discounts can be found for a wide variety of products. But, with this apparently endless flow of offers and discounts for tech and gadgets, what should you look forward to buy? Let’s take a look. Normally you can get this incredible security system for around $330 USD but Black Friday will allow consumers to have access to one for $249 USD. If what you need is to make your home safer and be able to monitor it from your smartphone or tablet, then the Iota will be more than useful to you. It includes a night vision camera, built-in Zigbee and Z-Wave hubs that allow a connection to smart lights and smart locks. Furthermore, although not fully available yet, the Iota promises to work with smart home systems such as Alexa, Google Assistant and Apple HomeKit. You can get this offer directly on Abode’s website. Speaking of smart home assistants, the Amazon Echo will be $30 USD off, which means you can grab one of these for as low as $69 USD. Optimized for Prime users, the Echo is a set of Alexa-enabled speakers that will make you feel like you’re talking to the computer of a starship of even an AI such as Cortana. You can find the offer through Amazon’s website. Gamestop and Walmart will lower this console from its regular price tag of $359.89 to a staggering $199.99. This will be a no-brainer for several, especially if we take into account the inclusion of one of the best rated titles of the season, the PS4 exclusive Spider-Man. Microsoft’s answer to Apple’s iPad will suffer a significant price cut at Best Buy. While normally you would have to spend almost a grand to get this tablet, you will be able to get one for $599. This table has a 12.3 inch display with a 2, 736 x 1824 resolution and a whopping 16 GB for RAM. For those who always have wanted to own their own robot cleaner, Amazon will be selling the Ecovac Robot Vacuum for half its price. Normally available at $300 USD, it will be on sale for $150 USD. These robot cleaners are a top of the line choice, with an integrated intelligent mapping system; some models even have a vacuum and mopping combo. These are hands-down one of the best pairs of wireless over-ear headphones out there. Not only is their design iconic and elegant, but the sound quality is superb as well. To complete the gaming experience, you’ll want to check out Best Buy’s offer on this TV. Experience true 4K at an affordable price. Normally $380 USD, you’ll be able to grab one of these for your living room at $278 USD. You’ll be saving over a hundred dollars on sharp image. You will be able to experience gaming it all its 4K glory thanks to the Essential Black technology, as well as much more fluid rapid content thanks to the Motion Rate 120. Millions of colors at your disposal to enhance any game or movie you want.